Here is a downloadable READING GROUP STUDY GUIDE for Ocean of Insight to support your book club discussions or meditation and journaling practices. This is your chance to talk about and reflect upon lessons from the “Great Atlantic Teacher” in your life. Did your group read Ocean of Insight? 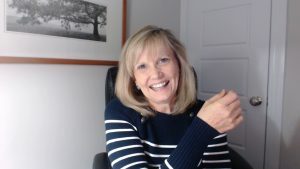 Would you like me to visit with your group for an hour via Skype or Google Hangouts to get some background on the writing and share your reactions? Follow these five simple steps and let’s see if we can connect. I’d love it! To start, send me your name and email address in the contact boxes below, along with a request to have me visit with your group. Don’t forget to paint a general picture about your group in a couple of sentences: who you all are, where you meet, why you decided to read this book—that kind of thing. I’ll get back to you when I get your message and we’ll see if our schedules can mesh. After we connect, the host should be prepared to ask the first few questions raised by the group.